There are six Munster men in the starting line up, with Sam Arnold named on the bench. The Garryowen centre, should he see action, will win his first Ireland cap. Garry Ringrose is the only starter to remain in place from the win over the All Blacks, as Rhys Ruddock will captain the side from number 6. 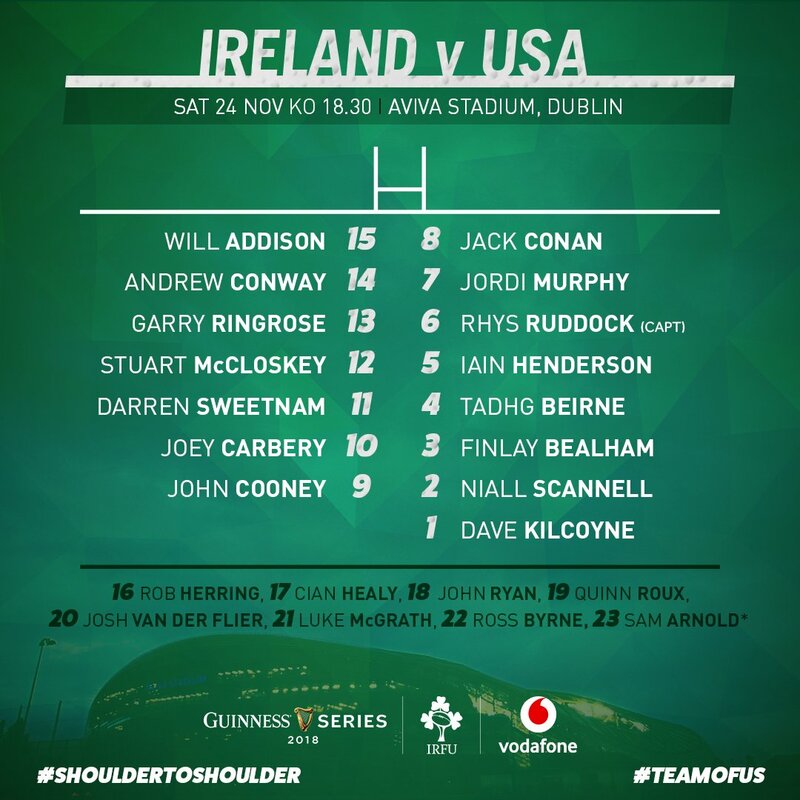 Will Addison will win his third cap for Ireland this weekend having coming off the bench in Chicago and then starting against Argentina as a late replacement for Robbie Henshaw. He is joined in the back three by Andrew Conway and Darren Sweetnam who won two caps in November 2017. There's a new look centre combination with Stuart McCloskey coming in to partner the aforementioned Garry Ringrose while Joey Carbery is joined in the half backs by John Cooney. Up front Dave Kilcoyne, Niall Scannell and Finlay Bealham form the front row while Iain Henderson will pack down with Tadhg Beirne in the second row. Captain Ruddock is joined in the back row by Jordi Murphy and Jack Conan. Judge John King commented that the accused is “hardly a shining example to his kids”.